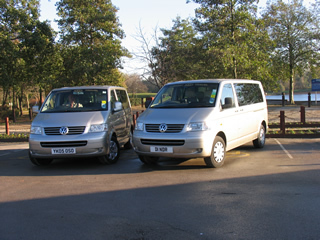 Airport taxis from Wakefield, Leeds, York, Selby, Goole, Doncaster. We are located near Castleford in West Yorkshire, but in addition to our local area, we will pick up customers from as far away as Selby, Goole, York or within a 50 mile radius of Castleford. Cities and towns covered include Pontefract, Castleford, Wakefield, Leeds, Barnsley, Doncaster, Rotherham, Sheffield and Bradford, covering West, North, East and South Yorkshire. Most of our customers want a taxi to Leeds/Bradford Airport, Manchester airport, or East Midlands Airport, but we will take you to or from any airport in the UK. Wherever you are based in this area, we can almost certainly sort you out a taxi - just contact us and we'll be happy to answer any questions.